Global Alliance Worldwide Chauffeured Services is proud to announce an important new addition to its world-class limousine fleet: the Cadillac XTS Sedan. This luxury vehicle will be the new standard sedan in our fleet, although the Lincoln MKS, BMW 5GX, and Mercedes S-Class sedans will also be available in the sedan class at this time. The Cadillac XTS is a full-size four-door luxury sedan. It will seat up to four (4) passengers maximum: one in the front passenger seat next to the driver, up to three in the back seat ifxts-1 the centre passenger console is stowed away. A more comfortable capacity would be three passengers, with this in mind. Trunk space for luggage is also very good in this vehicle, with a larger luggage capacity than the Lincoln MKS, the BMW, or the Mercedes options. A model of comfort and performance, the Cadillac XTS also boasts superior, intuitive interior design and luxury amenities. The aforementioned rear passenger console includes climate and sound controls, allowing passengers to adjust to their preferred settings without consulting the driver. 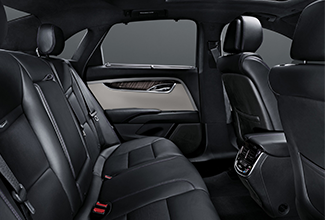 The fine leather seats are pressure-mapped for the best possible ease of repose for passengers, and both the front row seats and two outer rear seats are equipped with heating as well. The Cadillac XTS offers the best in safety and the latest smart technology to ensure a secure and enhance ride for passenger and chauffeur alike. 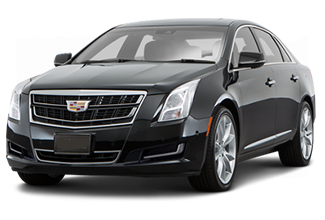 Global Alliance’s new Cadillac XTS luxury sedan offers our clients superlative performance and high-grade comfort and serenity. Please speak to our experiences reservations agents today about reserving your chauffeured transportation in this fine new vehicle in our fleet.